Join Elder Robert L. Wallace at Columbia Community Center Seventh-Day Adventist Church! 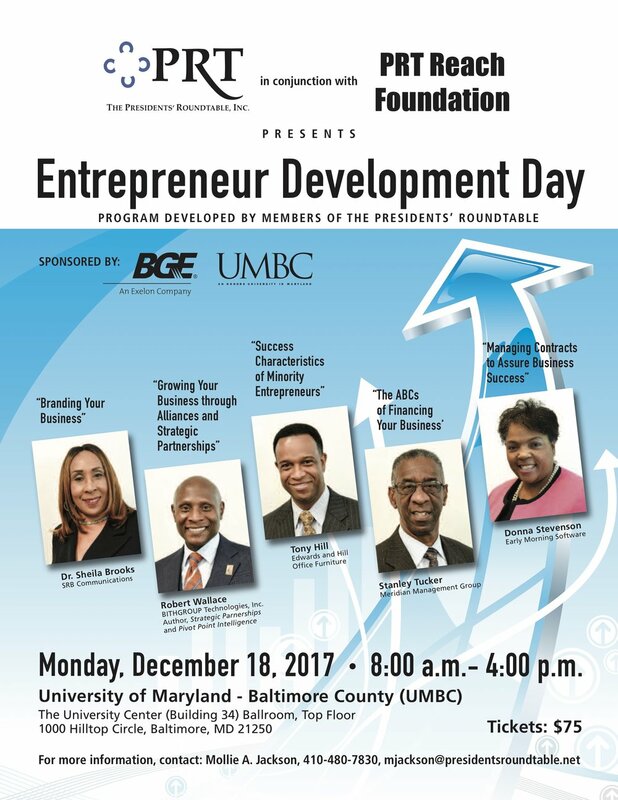 The speaker series is aimed at growing minority businesses in greater Baltimore that have the impact to change outcomes and grow Baltimore in a positive way by providing minority businesses with the building blocks to be successful. The 2018 Inner City 100 Conference and Awards will be held October 1 & 2 at the Seaport Hotel in Boston’s Seaport District. 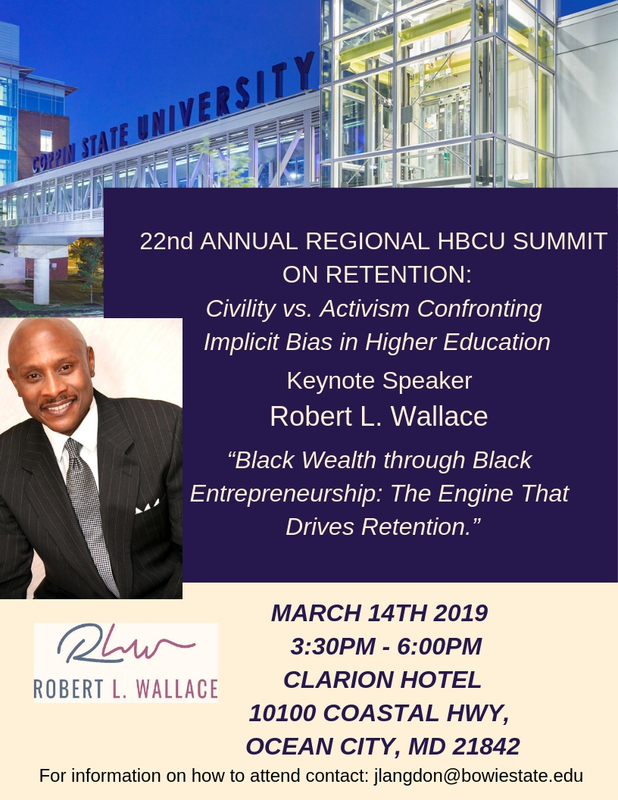 WLM Nominates Robert L. Wallace "Humanitarian & International Business Executive of the Year"
The conference is from 9a.m - 4p.m; VIP Reception from 4p.m - 5:30p.m. ; Awards Gala from 5:30p.m - 9p.m. WHAT ARE CAPITAL PROVIDERS LOOKING FOR? Diverse IT Suppliers will hear first hand from Ameren leaders what is on the horizon in Ameren Digital. We also will present an amazing keynote speaker, procurement activities, and a mini business opportunity fair. Hope to see you there! BITHGROUP Technologies & Bithenergy, Inc. Using the science of flying and the use of engineering vectors as a metaphor for depicting the need for today’s entrepreneurs and corporations to master the art of change management, Mr. Wallace defines pivoting in a business strategy sense, as the ability to change or alter your business course or strategy while harnessing existing market and business momentum in addition to capturing new opportunities for growth and value creation. Health 360: Baltimore Authors Discuss How To Achieve Health and Wellness in Every Area of Your Life. Join us as we bring together business leaders and industry experts to explore what it takes to get your business to the next level through digital transformation. Dr. Robert Wallace is speaking at Morgan State Universit School of Business, on Thursday January 19, 2017. The topic will be "Seven Steps to Thrive Economically Under a Trump Administration" and is sponsored by The President's Roundtable (PRT) and Baltimore Afro American Newspaper. This is a free event and is open to the public, register below to claim your spot!